Clth, 9.25 x 13.25 in. / 140 pgs / 91 color / Ed of 1500. Text by Thomas McEvilley, Julie Mehretu. 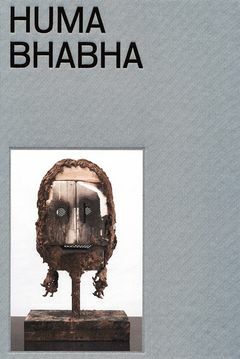 Pakistan-born, New York-based artist Huma Bhabha (born 1962) makes fragile sculptures and assemblages composed from detritus, construction materials and found objects. This first survey of her work contains a wealth of full-color illustrations, an interview with Julie Mehretu and an essay by Thomas McEvilley. FORMAT: Clth, 9.25 x 13.25 in. / 140 pgs / 91 color / Ed of 1500. Published by Peter Blum Edition, New York/Salon 94, New York.